Spaghetti pie 5 ways: Cheeseburger, pizza, chicken pesto and more! From classic spaghetti pie to over-the-top cheeseburger spaghetti pie and pizza spaghetti pie, here are five must-try recipes. 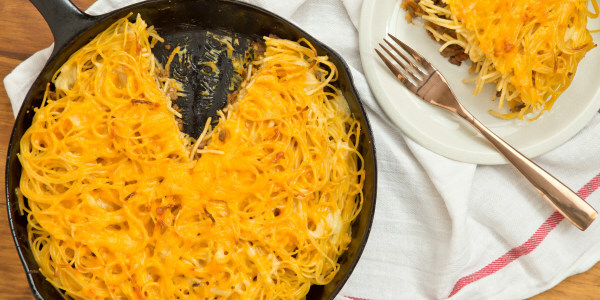 It's time to bust out of your regular baked pasta routine with Spaghetti Pie--a Midwest one-pot meal that's quick, easy and oh-so-cheesy. Just choose your pasta, grab some cheese, stir up some sauce and throw in ingredients like pepperoni, ground turkey or rotisserie chicken. These deep-dish casseroles are perfect for serving big groups and are easy to make in advance: boil and chill the pasta earlier in the day, or bake the whole pie a day ahead of time and reheat in the oven. Each of the pies can be baked in any standard 9- to 10-inch deep-dish pie pan or ceramic casserole, or in a deep ovenproof skillet like a cast iron pan. 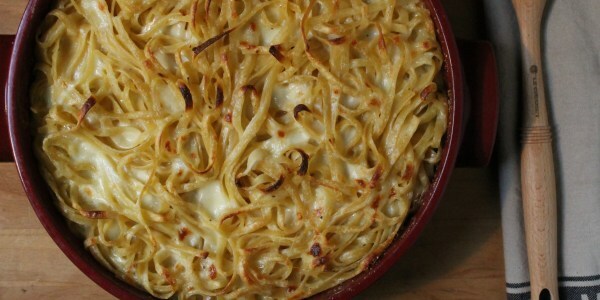 Here are five amazing Spaghetti Pie recipes your friends and family will love. Original Spaghetti Pie: Otherwise know as a "family dinner dream", this dish by Adam Richman is perfect for an easy weeknight meal. Cheeseburger Spaghetti Pie: Wave goodbye to plain old store-bought boxed hamburger mixes and say hello to this family-pleasing casserole that combines pasta with everyone's favorite cheeseburger flavors. Second helpings will be requested! 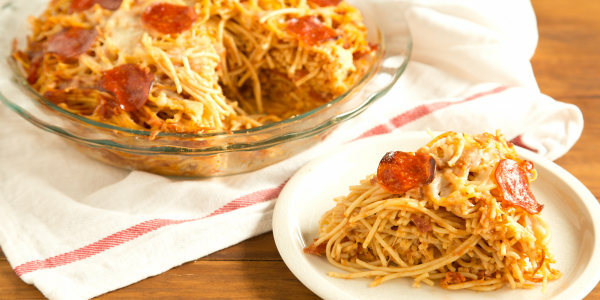 Pizza Spaghetti Pie: Pizza or pasta, pizza or pasta, decisions, decisions... Hey! 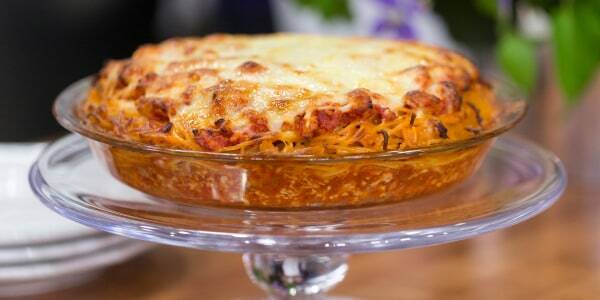 With this pepperoni-studded spaghetti pie, why not have both for dinner tonight? 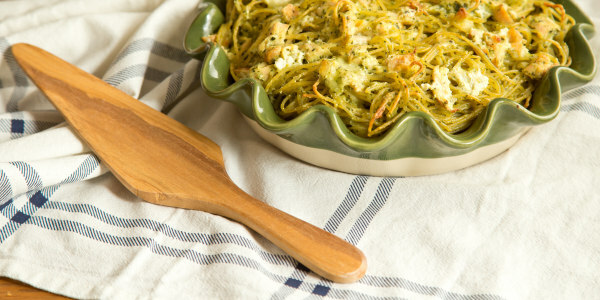 Chicken Pesto Spaghetti Pie: Who says spaghetti pie can't be elegant? Grab a rotisserie chicken and a jar of pesto to make this easy toss-together pie. Leftovers never looked so good. Alfredo Spaghetti Pie: If you love classic Fettucine Alfredo, then you'll love this ooey–gooey baked Spaghetti Alfredo—the ultimate Italian mac & cheese.